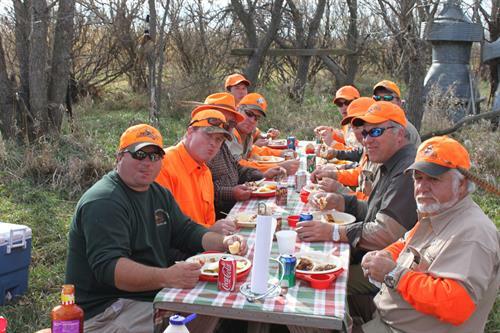 We offer two and three-day pheasant hunting packages based out of Mitchell. With our service, you can enjoy a South Dakota outdoors experience, but come back to town each evening after a great day of hunting. After a delicious evening dinner included in our package, you are free to enjoy a night out on the town with the guys or relax in your own private room or our group hospitality room. We also have well-bred and professionally trained Labradors, English Springer spaniels and German Shorthair pointers. No need to worry about whether or not you will find any birds, where to eat and stay and other details, leave that up to us and enjoy your hunting trip like never before. We have been in business since 1972!